May be used with or without a single-serve brewing machine. BREW, or MIX contents with hot water. Compatible with most single-serve brewing machines. Made of recyclable #5 material. 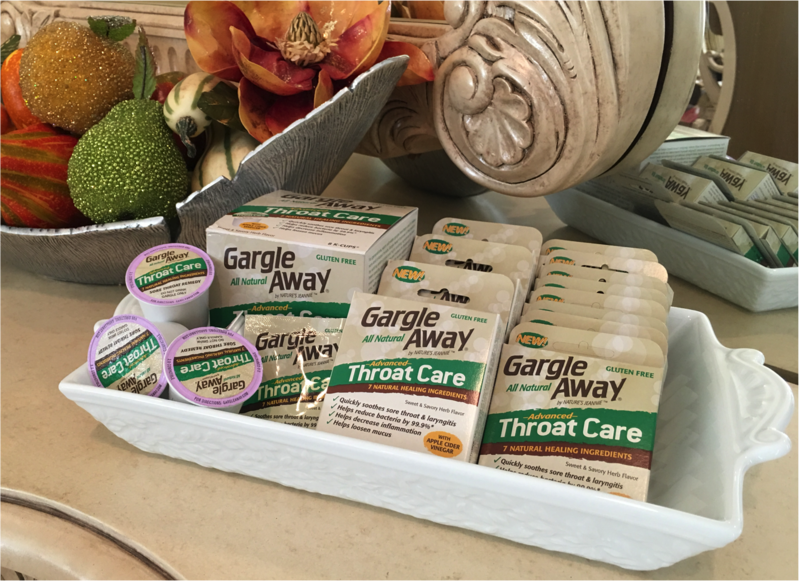 For generations, warm salt-water gargles have been used to relieve sore, scratchy and irritated throats. 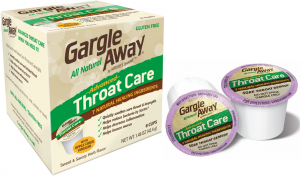 Gargle Away® improves on this tradition by adding a powerful blend of antibacterial, pain relieving and deep soothing ingredients that have been used by ancient healers and mothers for thousands of years - uniting ancient wisdom with modern science – for the most complete all-natural throat care available. And, it's gluten-free. Spread the gift of wellness to friends, family and colleagues. The next time you host a party consider gifting wellness favors, wellness stocking stuffers, or thoughtful wellness novelty gifts for colleagues. 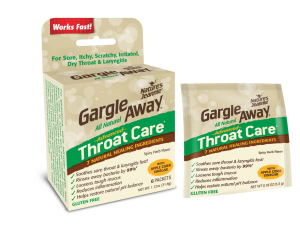 **All ingredients and claims for Gargle Away® Throat Care and, Nature’s Jeannie™ Throat Care Spray for Kids, and their specific application can be considered folk remedies which have existed for generations and is in widespread distribution. Specific claims related to rinsing away bacteria are based on the January 23, 2015 Challenge Study of Food Safety Net Services, an independent laboratory, concluding the antimicrobial action of Gargle Away® Throat Care by Nature’s Jeannie™ contributes to rinsing away at least 99.9% of the Staphylococcus aureus bacteria and 99.3% of the Streptococcus bacteria, and thus has utility in being used as a sore throat remedy. ***Our single-serve cups are environmentally responsible made of Polypropylene # 5 recyclable material. Produced with a minimal carbon footprint, and post-recyclable.